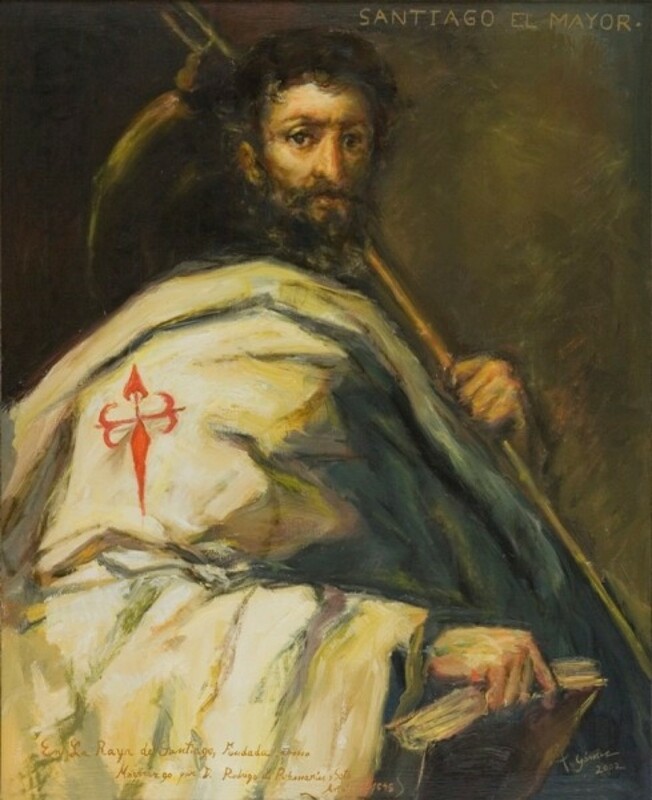 Starting in the 9th century, the monarchs of the Reconquest recognised the apostle James as the patron saint of Spain; they established the “Voto de Santiago” (Vow to St. James), which obliged the liberated lands to make a compulsory offering every year of goods to the Cathedral of Santiago, in appreciation for the apostle’s intercession. The Spanish Parliament determined, in 1646, that this Vow would be an offering from monarchs, princes and Compostela’s archbishop to the Apostle’s Church; it is still carried out symbolically during the solemn mass held on St. James’ Day. A few years before, in 1630, Pope Urbanus VIII had declared the apostle James as the only patron saint of Spain, against the opinion of some who wanted to declare Teresa of Avila as a co-patron saint.